We’re not sure why exactly, but FC Dallas have posted this video brutally mocking Zlatan Ibrahimovic for failing to live up to the hype he fuelled up about himself at LA Galaxy. The veteran Swede has always been known for being a big personality and never missing an opportunity to talk up his own talents. Kind of like Nicklas Bendtner, but with the ability to at least back up his claims. 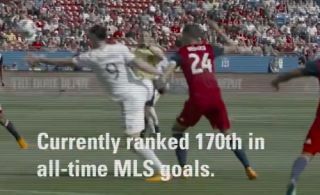 Still, FC Dallas clearly haven’t been too impressed by what Ibrahimovic has achieved in the MLS, as they reminded him of his boastful quotes in this video above. This could come back to haunt them, however, as a wounded Zlatan is not an animal you want to mess with.